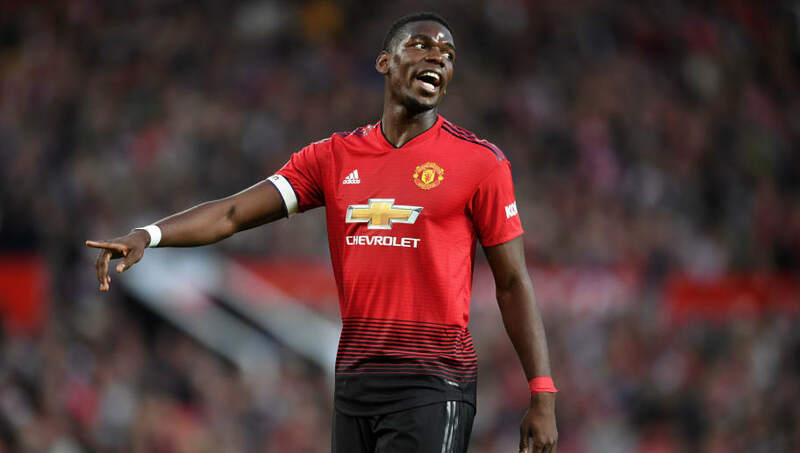 ​​Manchester United midfielder Paul Pogba has spoken of his pride in wearing the captain's armband during his side's ​2-1 Premier League victory over ​Leicester City, and has claimed he's eager to skipper the side on a permanent basis. Speaking after the opening day victory, in which he scored a penalty in the early stages of the match, Pogba discussed wearing the armband (via the Mirror), claiming: "I always love this club. I came in the academy, I grew up. I played for the first-team. For me, it was a dream come true. "And wearing this armband, it's even more because of the past, because of the players that played here, the people that have been wearing this. It's obviously an honour for me. When I have this, I have the confidence of the fans. They're all here, they help me, my team-mates, obviously it makes me want to give them love and give them good performances on the pitch. "How you learn leadership, on the pitch or outside the pitch. It's not just about having the armband. I have always been talking to my team-mates. It's not a role that I give to myself. I just try to help the team as much as possible, like they helped me too. "Having the armband it's not like 'oh, I will show that I am a real captain and have to do extra work'. No. I just have to be myself and do what I know, do what I can do and do what I know to do." After winning the World Cup with France, Pogba was heavily linked with a move away from Old Trafford before the transfer window closed. However, the 25-year-old remained at the club, and his manager José Mourinho's decision to hand him the armband hinds at a thawing in tensions between the two huge footballing personalities. However, Pogba has also hinted that things might still be far from rosy between him and his manger, after claiming that he has to be careful with his interview answers to avoid the risk of being fined. The former ​Juventus man also pledged allegiance specifically to his teammates and the club's fans, but neglected to mention the former ​Chelsea manager.